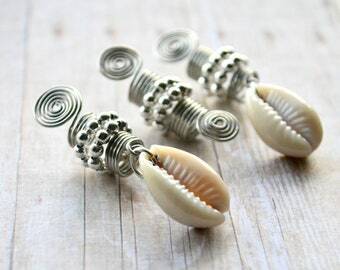 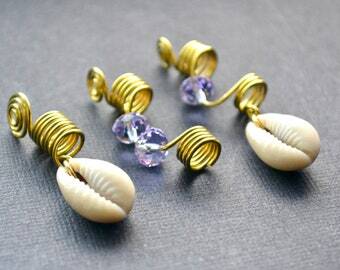 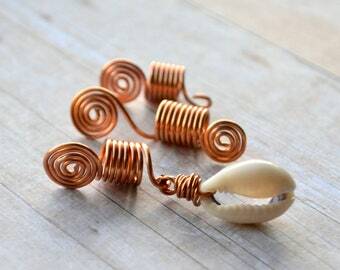 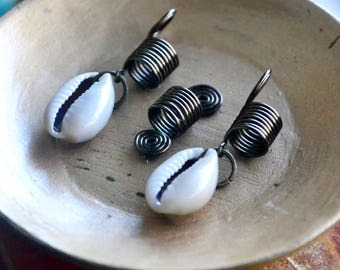 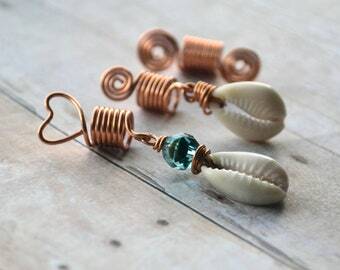 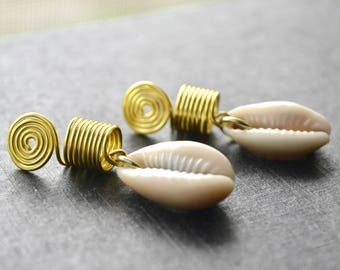 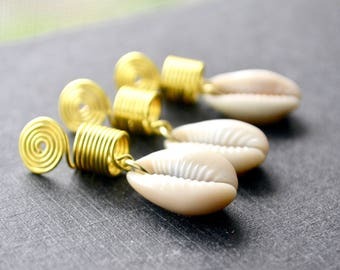 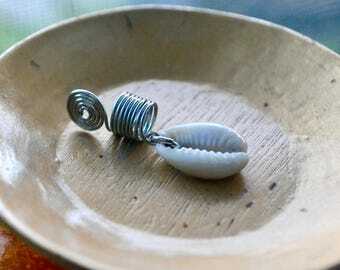 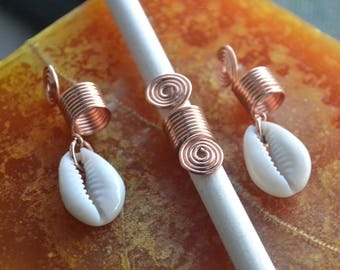 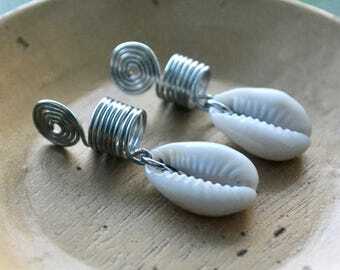 Copper dreadlock jewelry set is made with copper wire and cowrie shells. 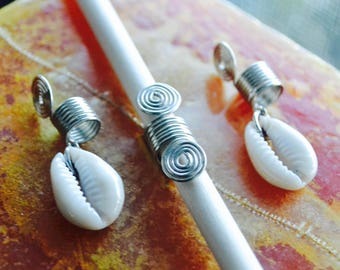 Each jewel is about the width of a pencil. 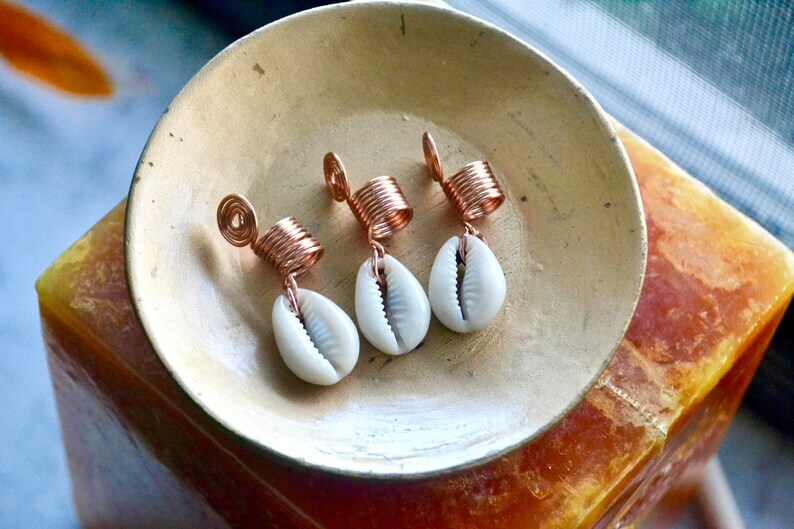 This is a 3 piece set. 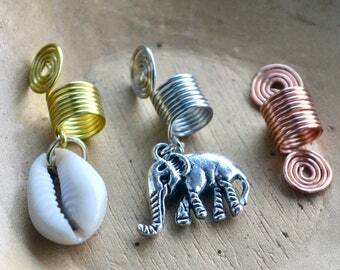 You can also purchase this set in gold and silver.